Join artists, musicians, and local community members for an all-day performance event in support of Occupy Wall Street and the occupation of space and reclaiming of the commons. Freedom of expression and the right to assemble are sacred human freedoms. Through bold, courageous actions, Occupy Wall Street has renewed a sense of hope, revived a belief in community and awakened a revolutionary spirit too long silenced. To Occupy is to embody the spirit of liberation that we wish to manifest in our society. 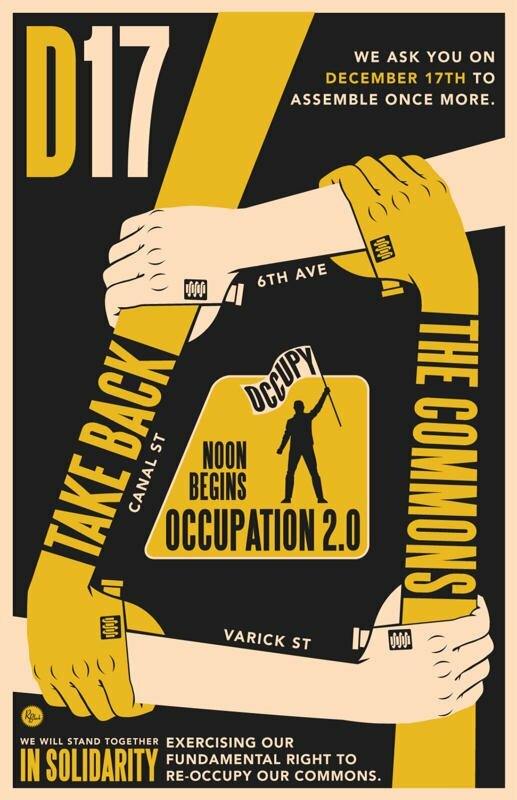 On Saturday, December 17th – the 3 month anniversary of the birth of this movement, we will gather to celebrate Occupy Wall Street and to occupy space together. You are so awesome! I do not think I’ve truly read through anything like that before. So nice to discover another person with a few unique thoughts on this issue. Seriously.. thank you for starting this up. This website is something that is required on the internet, someone with a bit of originality! I’d certainly donate to this brilliant blog! I guess for now i’ll settle for book-marking and adding your RSS feed to my Google account. Thanks so much for your support! We do in fact have a donate button — see the right hand column where it says, “Donate to Occupy Big Food” there is a link there. Thanks again!! Spring is Here! Are You Ready to Occupy Big Food?